Our experienced cleaning team offers one-time and ongoing house cleaning. Danbury, CT and the surrounding area are included in our service area. Our Danbury cleaning service will create and keep up a clean home, so you are able to free up your time to enjoy the things that matter most to you, instead of scrubbing away the dirt and grime! 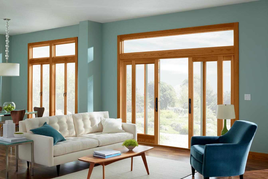 When you search Google for “cleaning service Danbury CT” and locate our firm, you are ensuring that you are working with a quality provider of cleaning services. We know that with life constantly happening around us, a clean home can be a tough thing to maintain. This is where our cleaning service in Danbury, CT comes in. We totally understand that your toddler spilled an entire cup of grape juice on your new, white carpet. We also get when your brand new puppy is housetraining and doesn’t quite make it to the door in time. Our firm provides cleaning services in CT that is more than just your basic house cleaning. We provide a deeper clean, not missing any stain or dust particle. Our Danbury house cleaning service will not only make life easier by allowing you the freedom of not constantly cleaning your home, but creates a clean environment for your family to life in. Our house cleaning firm will generally set our regular house cleaning prices in two ways; by hour or by square foot. We typically use square footage rates in a first clean situation as a baseline. Our first cleans are generally a bit more expensive as we need to create a thoroughly clean environment which we can then maintain on the schedule that you determine. ​Additionally, rates will differ on how often you have us perform cleaning service. Danbury, CT homeowners will receive discounts when they sign up for weekly cleaning instead of monthly cleaning. We also offer discounts when you pay up front and/or sign a long term cleaning contract. Contact us for more details! ​All of those that work full-time, have young children or pets (or sometimes all of the above) know that having and maintain a clean home can be a huge, time consuming task. Working with a professional company that provides house cleaning in Danbury CT can lower your stress and make your life a bit easier! ​Carpet Cleaning- Our firm gets all those pesky stains out of your carpet, but also goes a step further with a deep cleaning process that removes all the dust and dust mites in your carpet that you can’t see. Working with a professional firm that specializes in house cleaning CT makes all the difference! ​Air Duct Cleaning- Looking for a way to increase the efficiency of your home’s heating and cooling system while improving the quality of air in your home? 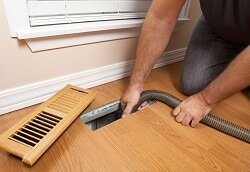 Call us for an air duct cleaning as an add on to your regular residential house cleaning. 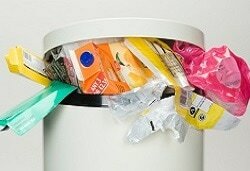 Danbury, CT is included in the service area for this important home cleaning task. 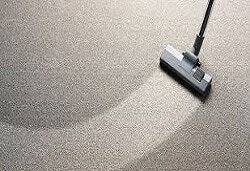 ​Odor Removal- Not every Danbury cleaning service considers the freshness of your home. Our cleaning service will recognize and deodorize problem areas in your home, creating a pleasant smelling environment throughout your home. Don't let a stinky home be an embarrassment, call us today for a free estimate! Why work with a Professional Cleaning Service? When you search Google for “cleaning lady Danbury CT” and find our firm, you will be choosing to work with a company that is bonded and insured. We offer the highest level of satisfaction and if you are ever unhappy with any service provided by our firm, please call us immediately. We strive to offer the highest level of quality house cleaning. Danbury, CT homeowners know the difference. Working with an individual cleaning person is also an option, but many individual cleaners are not licensed and insured. Sometimes their rates are lower, but their ability and access to cutting edge cleaning technologies is much less than working with professional CT cleaning services. Also, if the job is not done properly or up to a homeowner’s standards there is little action or recourse. You can call and speak to a manager or company owner when you work with a Danbury cleaning service, but working with an individual cleaner that option is unavailable. Housekeepers/cleaning ladies may do light cleaning more regularly, while house cleaners perform deep cleaning less often. While there's no "standard" set of cleaning services, most Danbury cleaning service firms will include basic tasks such as vacuuming, dusting, toilet and shower cleaning, general kitchen cleaning and tidying up. Once they've run through the list of typical tasks, many professional cleaning services in Danbury, CT will ask for an additional list from homeowners — for example, cleaning blinds, tackling tough soap scum stains, cleaning the oven or dealing with stained carpets. Some professional house cleaners bring tools (vacuum, mop, dusters) with them, while others ask homeowners to provide the necessary cleaning supplies. Similarly, some bring their own cleaning products and others want homeowners to provide a set of products for their use. We also offer Commercial Cleaning in Danbury Connecticut! ​We know that the cleanliness of your facility is of the utmost importance in establishing a healthy work environment and making a good impression on your clients. We seek to establish a partnership with each of our customers that begins with a visit to the facility and discussion of a cleaning scope and schedule that best meets your needs and budget. Our management plays a hands-on role to ensure your satisfaction. We work with area retailers, offices, professional buildings are many others, to provide stellar commercial cleaning services.